Lately I’ve been in love with blue. This cobalt shade paired with a crisp with is so fun and modern. I am pretty much obsessed with this sunprint cake! I loved making these prints in college (they are also called cyanotypes) and I am loving the look on a cake! My other favorite details are these fun favor poppers. They are such a cute and easy DIY idea! What do you think? 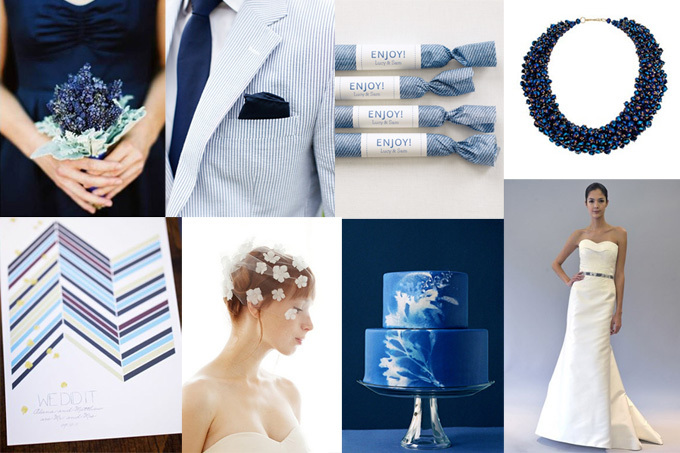 Would you go blue for your wedding? Gorgeous! I absolutely LOVE that cake. The blue cake is just stunning!